My husband and I love trying new recipes. Sometimes we follow the recipe exactly as it is written. Other times we treat it as a guideline, adding or removing something from the original recipe and making it our own. I am so happy to be living in the Pacific Northwest. My crockpot has been very busy since we moved here. I especially love being able to prepare a meal in the morning, turn on the crockpot, and forget about it until almost dinner time! The aroma fills the house and provides such a wonderful “welcome home” feel as you walk in the front door. Facebook has been a wonderful source for new recipes. Some recipes I have enjoyed were recipes shared by friends because they look good, not necessarily because they tried it and liked it. I will occasionally share the same recipe just because it looks good too. If we try a recipe and like it, we will share the link again with a comment that we did try it and liked it, or what we did differently that made us like it. Yes, we will usually provide a photograph too. Who doesn’t want to see the finished product, right? Does anyone still use cookbooks? You know, those big, bulky books with recipes in them? I still have a small bookcase of a few of my favorite cookbooks. And, yes, I still use them. I use them mostly for favorite baking recipes, or when the internet isn’t working and I need a recipe! There have been a few times recently I was very happy to still have my trusty, old cookbooks! Life can be pretty hectic sometimes. The internet has made it so easy to find recipes and food ideas. But then sometimes I get too distracted. 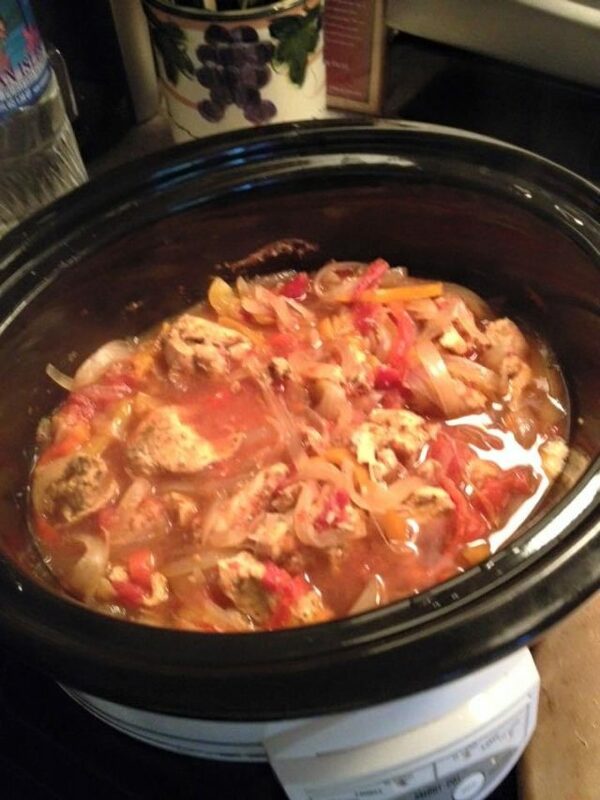 Thank goodness the meal is in the crockpot and I don’t really have to worry about burning it!! Next → Next post: Do you owe anyone an explanation?